Studies proving the long-term adverse health effects of cheap packaging have driven the demand for BPA-free and phthalate-free products. However, new evidence suggests the effects of BPA alternatives often look similar and act similarly in our bodies, also disrupting normal hormone functions. Cheap ingredients usually suggest cheap methods of production. Glyphosate is the most widely used herbicide in the world, and is prohibited in organic production, but has somehow made its way into the organic food supply. Glyphosate is known to the State of California to cause cancer, and has been identified as a probable human carcinogen by the World Health Organization. How do we ensure these dangerous chemicals are not entering our food chain, including our organic food supply, from food products or the products handling our food, including disposable gloves? Eagle Protect is undertaking a multi-stage Fingerprint process of glove analysis, in order to reduce the risks associated with physical, chemical and microbiological hazards of disposable gloves. These hazards have been identified often as present in disposable glove supply chains. 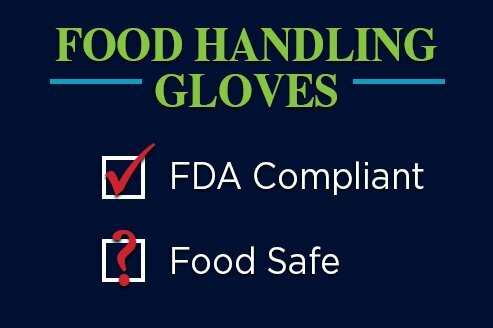 With a great deal of faith placed in your supplier's ability to deliver disposable gloves sight unseen, we believe it is essential to further reduce the food safety risks associated with them. Glove Structural Integrity: How specific glove types, qualities and acceptable quality levels (AQL) can effect the microbial contamination of food, and the possibility of glove particle contaminants in food. Safe Ingredients: The chemical signature of glove raw material “ingredients” are tested, to assure they do not contain potentially toxic chemicals which could impact food safety and glove user health. Cross-Contamination Potential: How specific glove types can affect the risk of pathogen cross-contamination in ready-to-eat (RTE) foods. Dermal Compatibility: To protect the skin and health of the glove wearer. Cleanliness: Specific microbial limits on both the inside (skin contact) and outside (food contact) of gloves. The tests analyze the raw material “ingredients” and the safety of those detected, including the detection of toxins from a wide variety of chemicals. A deep microbial analysis of both the inside and outside of glove surfaces will analyze possible stages of contamination, whether human or manufacturing. 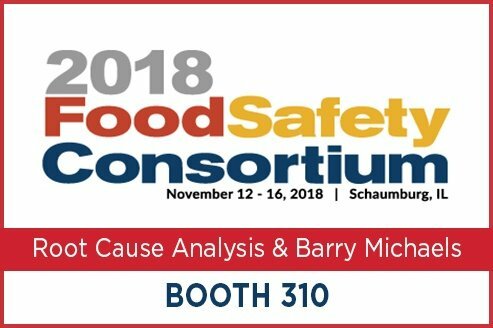 With 15-18% of foodborne illness outbreaks implicating disposable glove cross-contamination (CDC et al), and each outbreak estimated to cost a business up to $30 million, a food safety program that mitigates all risks involved in food handling, including disposable gloves, is essential. Don’t sacrifice quality for cost. The false economy of cheap disposable gloves can and does affect food safety and increase business risk. 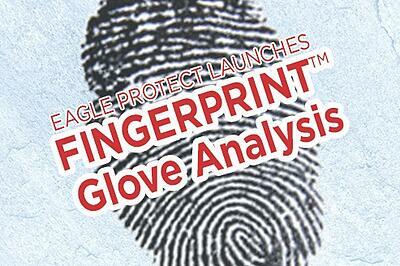 Have questions about our Fingerprint Analysis? Contact us. Let's chat!